In this category you will find free movies and entertainment, tips on how to get free movie tickets, and video rental codes. Tonight I found a great deal online I want to share. AOL has started a service that bundles together popular web deals and then charges a discount price for them. The neat thing is – it’s free for ONE month! Translation – free $10 Amazon, Redbox, Pandora, I-Tunes, and maybe more! They also have some pre-bundled services or you can make your own. I got a pre-bundled service, because it included a lot of things I like, such as a Pandora Subscription, Redbox movie and game codes, and it comes with a $10 Amazon Gift code for $15 a month – again- FREE for your first month. You do have to submit a credit card. I love winning pre-paid Visas and Mastercards to use for deals like this. However, I suspect I will keep this one, because we usually spend more than 15.00 between Amazon and Redbox anyway. However, site reviews are generally saying that canceling isn’t hard, and some people that cancel are reporting getting a survey for why they canceled with a 25.00 gift code as a thank you. That’s not everyone, but appears to be a random sampling. Check out their bundles or make your own. I personally found the pre-bundled items to be a better value. Note that a few of the things expire after a month, such as the 10.00 Fandango gift cards – those seem to have a expiration date. So read the details. That’s a Fandango deal killer for me, because I would rather save up 2 months so I wouldn’t have to go to the movies alone. The Amazon codes though – the one I got went RIGHT to gift card balance. Of course I am buying more and more at Amazon lately so I rarely have a gift code last more than a day, lol. There’s also computer security products, ID protection products, and other things to choose from. There doesn’t seem to be any affiliate bonus at this time – it’s a shame, my friends and I could have had fun with that! Remember to cancel after you get your goodies if you don’t think continuing with the subscription will save you money. Also, be a bit leary of those magazine offers – most of the magazines can be had for free if you follow this site regularly! 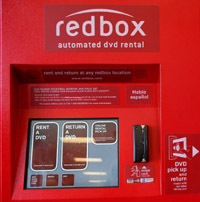 These codes are good until August 29, 2011 and are good for one night’s rentals on the $1.00 movies. 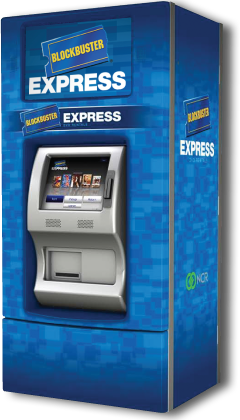 There are some more free Blockbuster Express codes out. These are good until August 12, 2011 for one free night’s rental each. Brand new releases are usually excluded from these deals. These are multiple use codes and can be used once per card. Last updated Kristi Gilleland at October 11, 2013 .